So, the pear cider finally made its debut in Malaysia a few weeks back. In conjunction with the launch, they've also introduced a cider utopia called the 'Somersby Ciderland'. Cheesy? Yes! But I'll accept it since I do really like Somersby ciders. 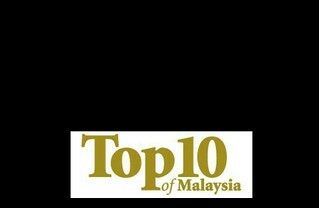 One sip of those cold, refreshing drinks, you will re-think about your other favourite alcoholic beverages. 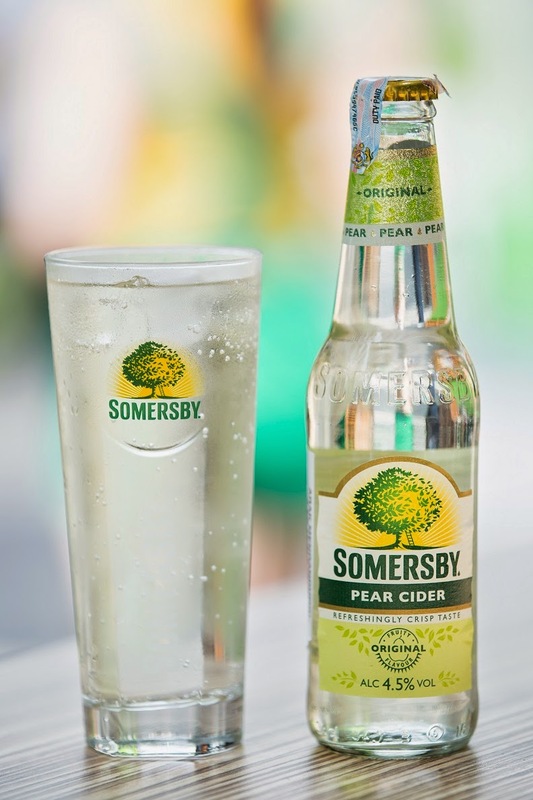 Made from fermented real pear juice, Somersby Pear Cider is a refreshing and crisp cider free from artificial sweeteners and flavouring. With 4.5% in alcohol content, its natural sweet bubbly flavour is best served cold to ensure every sip gives you an unexpected punch with an exciting, thirst quenching experience. 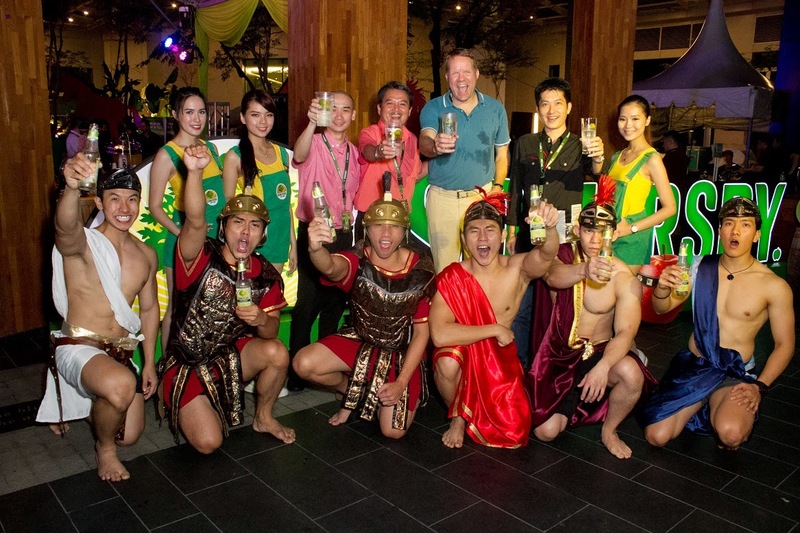 The famous Somersby Apple cider has become tremendously popular in Malaysia since June 2012. This amazing twist of beer-alternative is fully imported from Sweden. The right balance between both sweet and bitter makes it perfect for both men and women who doesn't like the strong taste of full-on regular beer. No event is complete without a photo booth! Blogger Li Chuen trying to pop the bottle to win a ticket to Starlight Cinema! My personal view about the new cider, you must, must, must drink it cold, immediately out from the bottle to enjoy the full taste. Otherwise, it just taste weird. Apple or Pear? I still prefer the Apple Cider. 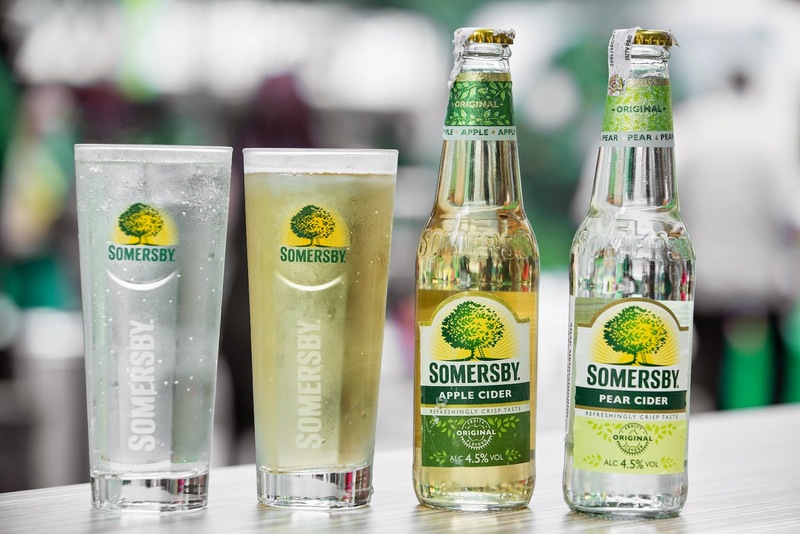 Somersby Pear Cider is available in 330ml bottles at selected bars and restaurants, as well as in packs of four at all major hypermarkets and supermarkets nationwide.